We’re excited to announce that the next chapter in TrustSpot is officially live. Lootly has been in stealth mode for over a year, and we’re happy to see the project is now available for everybody to use. 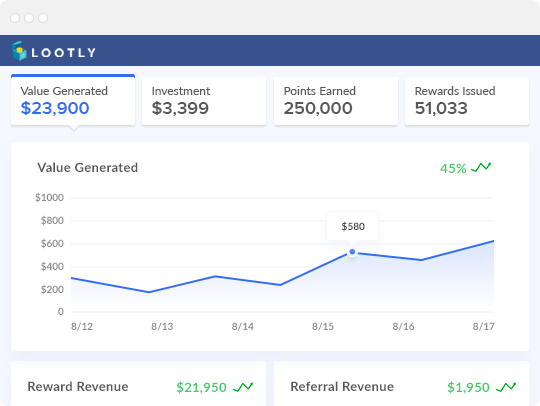 Lootly is an incentive marketing platform helping eCommerce brands grow their revenue & customer happiness through a Loyalty & Rewards program. 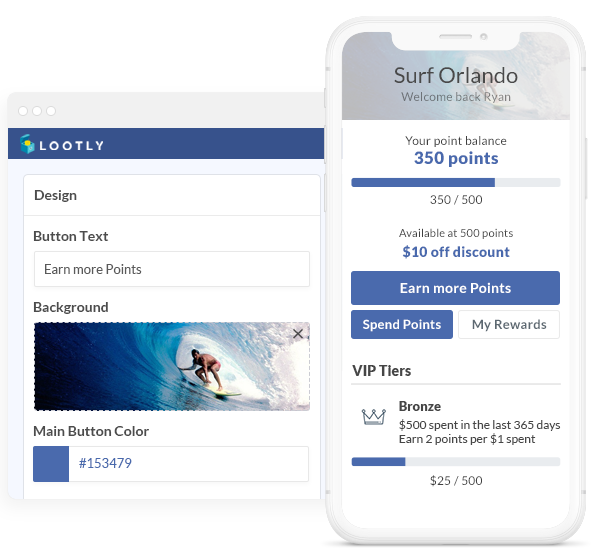 With Lootly, brands can now engage their existing audience with exciting new ways to earn rewards, develop a loyal following with a VIP Program or increase new revenue through a referrals program. When we started to build Lootly, we knew that the business model for existing loyalty programs was broken, because their pricing is dependent on the # of orders or customers that a store has. 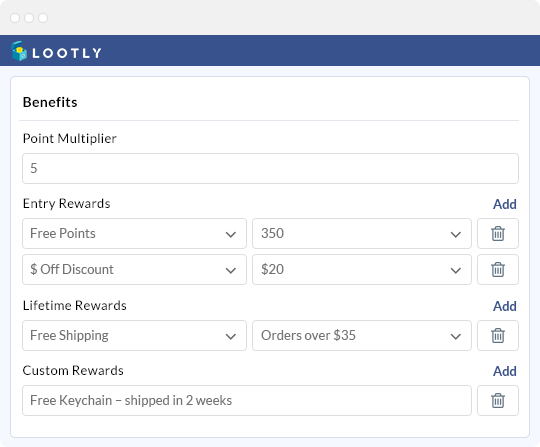 With Lootly, we decided to make every plan have Unlimited Orders & Unlimited Customers. For us, we’re about empowering brands to grow without charging them more for their growth success. With TrustSpot & Lootly together, customers can now earn points for writing reviews and encourage them to visit again to make additional orders throughout the year. As you scroll down, you will get to see all of the great new features available with Lootly. Click Here to visit Lootly. 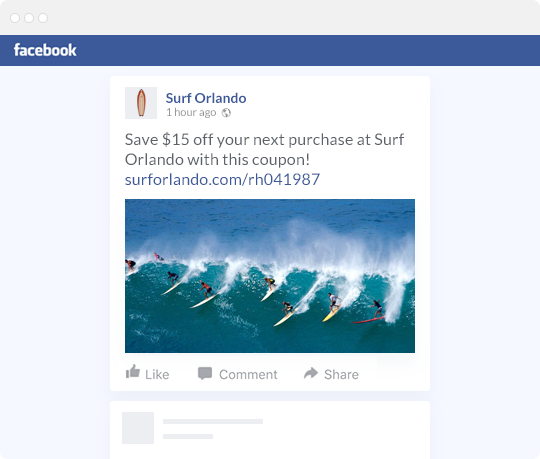 Customize every aspect of your Loyalty program with our easy to use design tools that showcase your changes in real-time. Looking for something more in-depth? We also offer full HTML Editors allowing you to design anything you want. 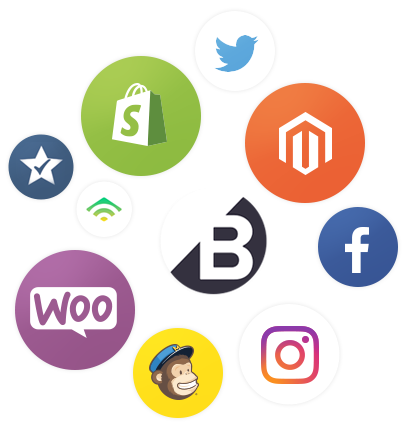 Launch your own VIP Program in only a few minutes, with exclusive perks and benefits for your most loyal customers. Make it easy for customers to share their happy experience with their friends & family to help drive new revenue for your store. Create unique rewards for both the sender and receiver. Get a complete understanding for how well your loyalty program is working and make updates based on over a dozen unique data points. Lootly makes it easy to not only see insights for your entire program, but also allows you to take a deep dive into each customer’s profile to see how they’re interacting with your program. Most loyalty platforms today charge based on # orders or # of customers, but we felt that business model is broken because it leads to surprise billing for going over limits. We wanted Lootly to be a breath of fresh air for brands looking to scale their loyalty program, without feeling stuck on a particular plan because of limits. Looking to learn more? Visit Lootly.